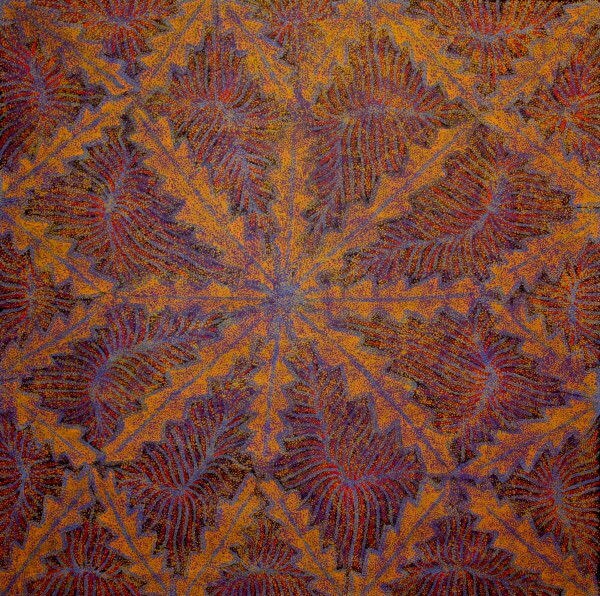 This recent painting tells the Dreaming story of the Kame (yam seed) from Judy's country, Alhakere. The Kame story is a major story, widely celebrated by the Alhakere people. Judy uses delicate dot work and colors to depict the Kame, with background design inspired by the leaf and root system of the plant.